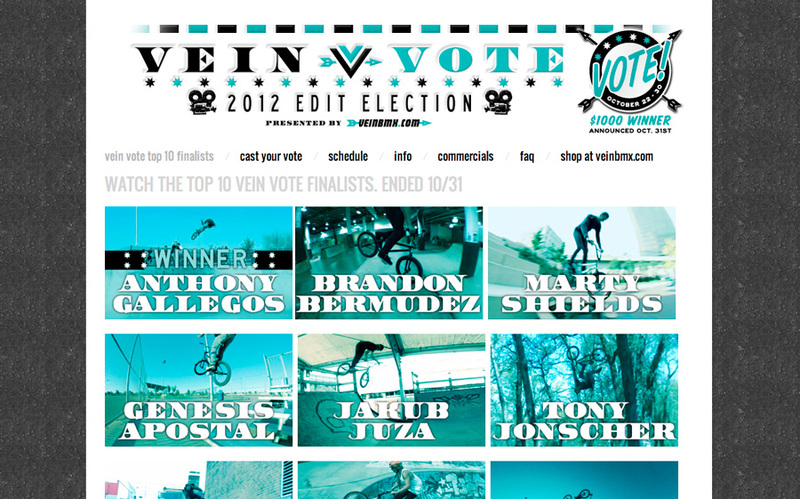 Promotional concept and all visual materials, including a wordpress website, commercials and banners for the Vein Vote; an amateur BMX video contest run by Vein BMX. 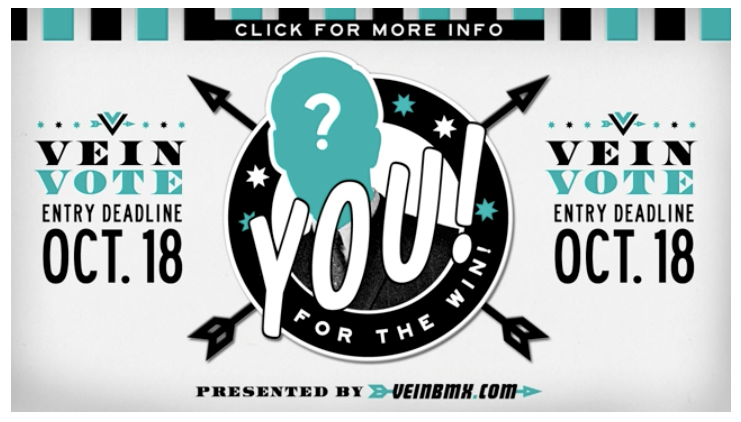 The idea was to allow our Facebook followers to submit they’re homemade BMX videos on Facebook, where they could be easily viewed and then voted on through a voting form. I had the pleasure of running the entire contest as well, allowing me to field questions and comments about the contest.